Nassauer, J. I. 2012. Landscape as medium and method for synthesis in urban ecological design. Landscape and Urban Planning, Vol. 106, pp 221-229. Gobster, P.H., J.I. Nassauer, and D.J. Nadenicek. 2010. Landscape Journal and scholarship in landscape architecture. Landscape Journal 29: 1-10. Gobster, P.H., J.I. Nassauer, T.C. Daniel, and G. Fry. 2007. The shared landscape: what does aesthetics have to do with ecology?Landscape Ecology 22:959-972. Nassauer, J. I. 2006. Landscape planning and conservation biology: Systems thinking revisited. Conservation Biology. 20:3: 677-678. Nassauer, J. I. 2005. Using Cultural Knowledge to Make New Landscape Patterns. In Issues in Landscape Ecology. J. A. Wiens and M. R. Moss, eds. Cambridge University Press. Cambridge UK. Pp. 274-280. Revised from Culture as a Means of Experimentation and Action. In Issues in Landscape Ecology J. A. Wiens and M. R. Moss, eds. International Association for Landscape Ecology. Nassauer, J. I. 2002. Agricultural landscapes in harmony with nature. pp. 189-193. (Revised and reprinted from Visions of American Agriculture, Wm. Lockeretz, ed. 1997) In Fatal Harvest, Douglas Tompkins, ed. Island Press, Washington, D. C. 384 pp. Nassauer, J. I. 2002. Ecological Science and Design: A Necessary Relationship. Pp.217-230. 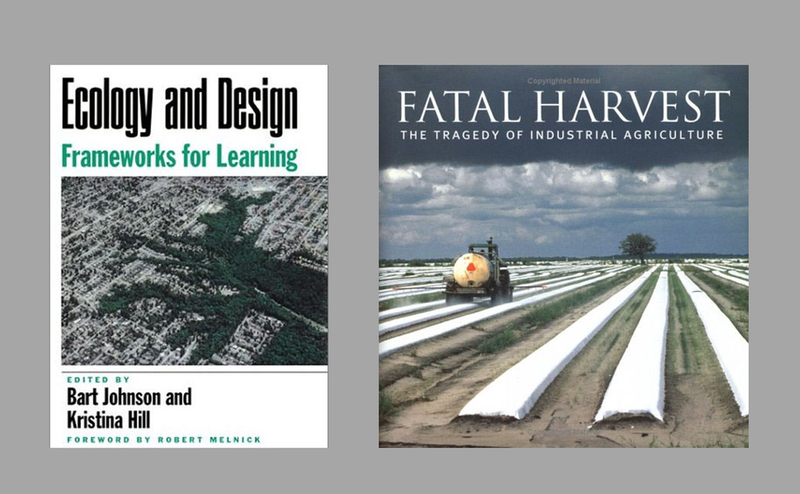 In Ecology and Design: Frameworks for Learning, B. Johnson and K. Hill, eds. Island Press, Washington, D. C. 530 pp. Nassauer, J.I., ed 1997. Placing Nature: Culture and Landscape Ecology. Island Press. Washington, D.C.
Nassauer, J.I. 1992. The Appearance of Ecological Systems as a Matter of Policy. Landscape Ecology. 6:4, 239-250. Nassauer, J.I. 1985. Bringing Science to Landscape Architecture. CELA Forum 1:5. Nassauer, J. 1979. Managing for Naturalness in Wildlands and Agricultural Lands. In Our National Landscape. USDA General Technical Report PSW‑35, Pacific Southwest Forest and Range Experiment Station, Berkeley, California. Nassauer, J. 1977. Natural Resource Decisions as Art. Proceedings of the Council of Educators in Landscape Architecture, Minneapolis. Nassauer, J.I. 1985. Managing Career and Family: The Experience of Women Landscape Architects. Landscape Journal. 4:1.